A beautiful Murano glass chandelier with eight arms. 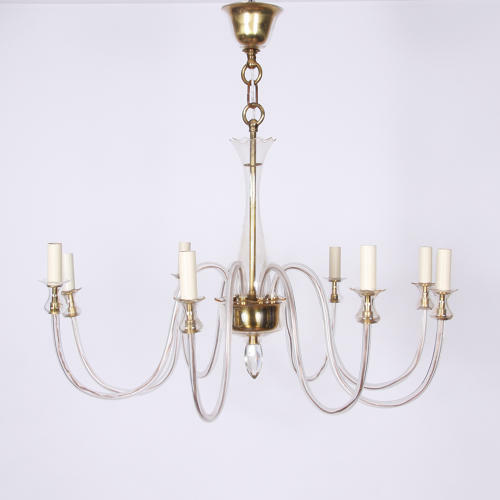 This elegant chandelier has a brass inner column, base and original ceiling rose all with glass over them. Detailed candleholders make this a stunning piece. Fully re-wired.